Our raspberries and mint leaves are soaked in alcohol for several weeks to increase the depth of flavour and intensify the aroma. Infused with a traditional handcrafted dry gin using top quality botanicals. Why not try Raspberry and Mint Fizz. 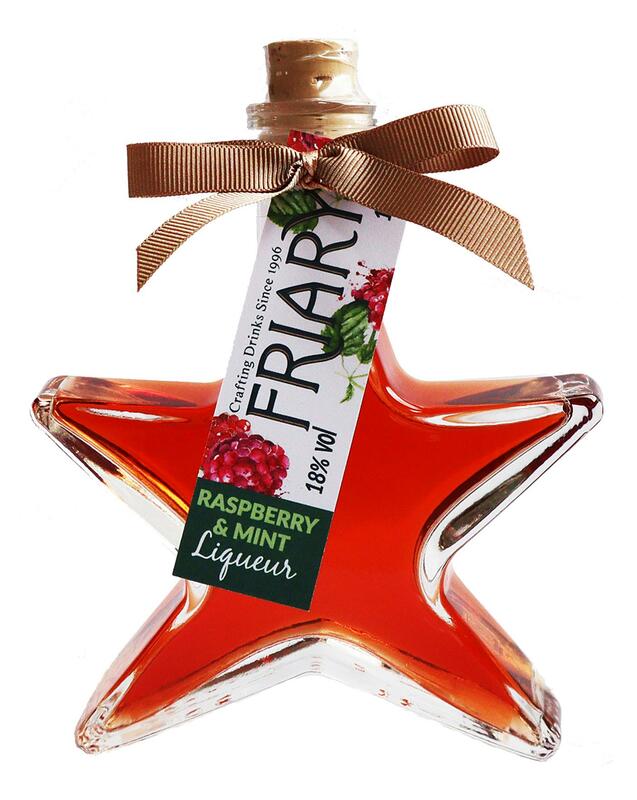 Simply add the raspberry and mint gin liqueur to a glass of chilled champagne or prosecco topped with fresh raspberries and mint leaves for real freshness. 13 x 10 x 3cm.